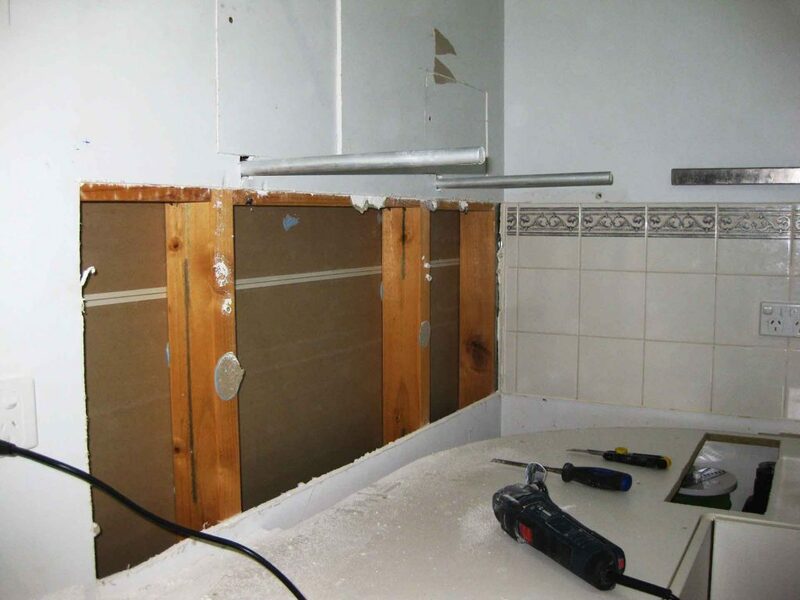 The other week I shared with you a mini reno of my kitchen and part of that renovation was replacing the wall tiles. 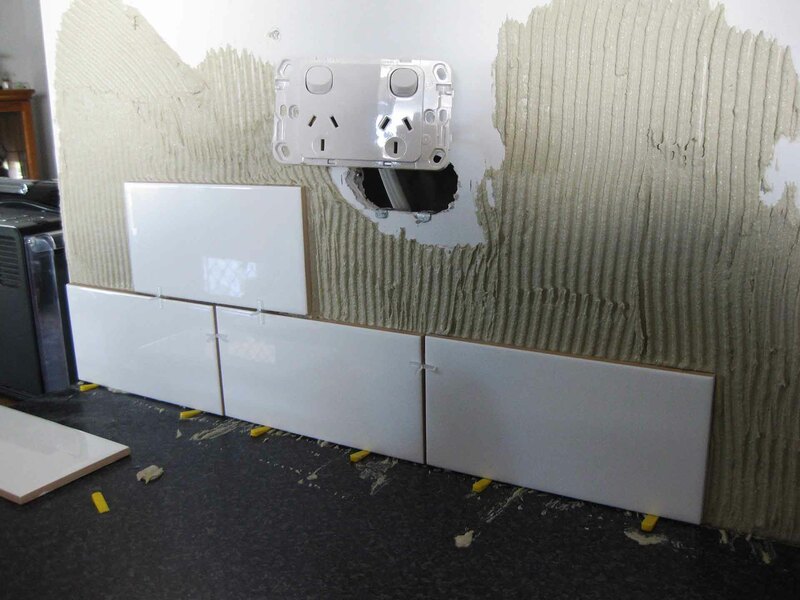 Tiling a wall is a relatively easy task that you can do yourself, you just need to follow a few simple steps. But tiling a floor or wet area is a little trickier as you need to consider your levels and water run-off etc. 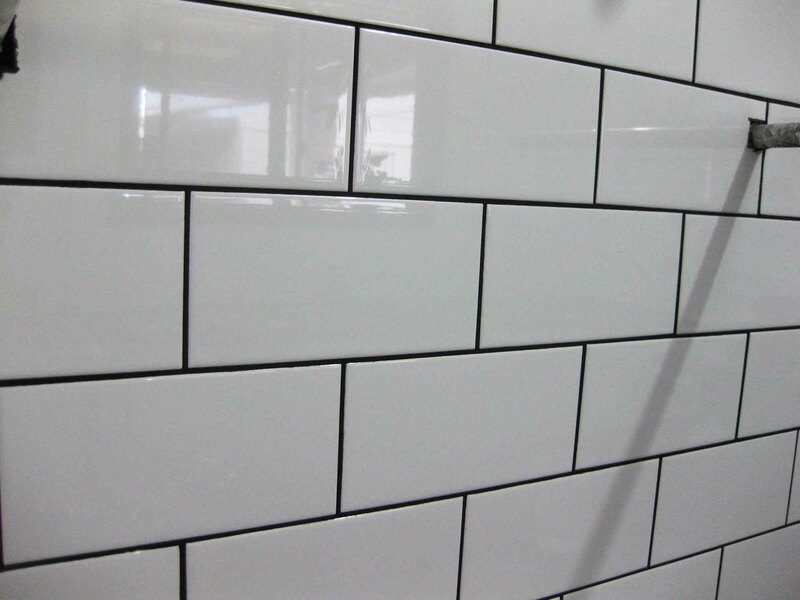 So we don’t recommend you start with a bathroom, but straight-forward wall tiling is a great DIY job to begin with. So out with the 17-year-old patterned tiles, and in with a new, timeless classic. 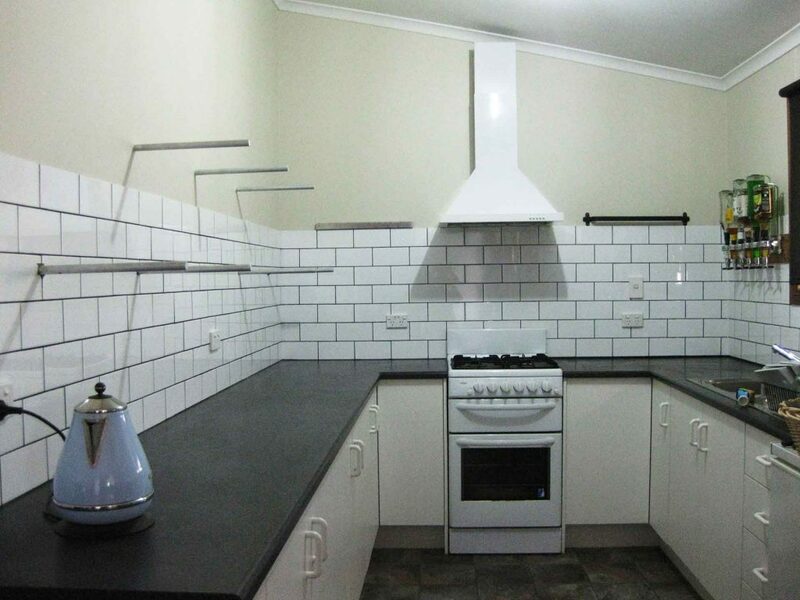 White subway tiles. I am so in love with this tile, it’s really cheap, simple to lay and pulls our space together perfectly. The great thing with a timeless white tile is that you can use any colour grout to compliment your style. For my kitchen, I went with a black grout for two main reasons. 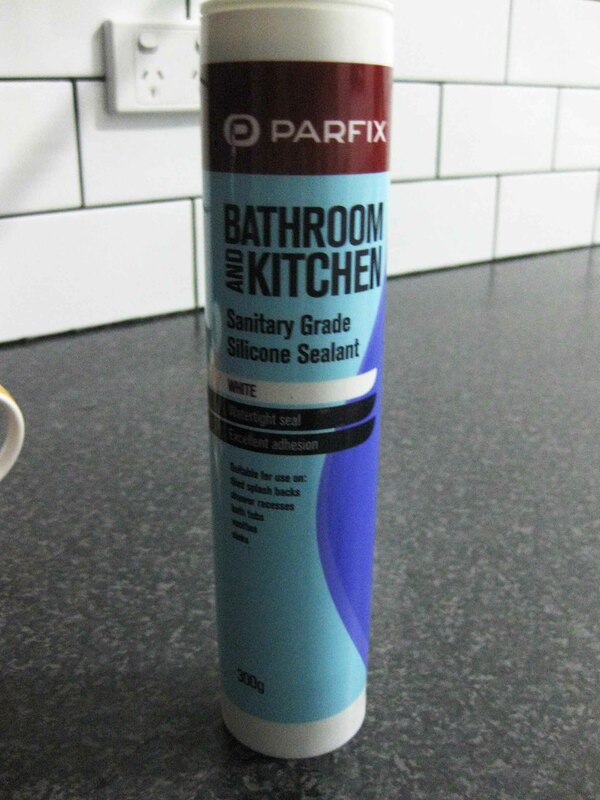 Firstly, it doesn’t show the dirt and grime like light coloured grout and secondly, it adds a little more dimension to the look of the kitchen. Dark grout against a light colour tile is certainly not for everyone, but in my case I love it and it makes such a huge difference to the overall look of my kitchen. Tiling is actually really easy to do yourself so if you’ve never tried it and want to give it a go then try it. You can do it. The only difficult part of tiling is cutting the tile to fit around power and light switches. To do this, make sure you have the right cutting tool. We used an angle grinder with a tile cutting disc. The first step is to remove all the old tiles. You can do this with a hammer and chisel, taking care not to damage the plaster board underneath. Our tiles weren’t going anywhere in a hurry so we found it easier to cut the plaster board around the tiles and remove the entire wall behind the tiles off in sheets. 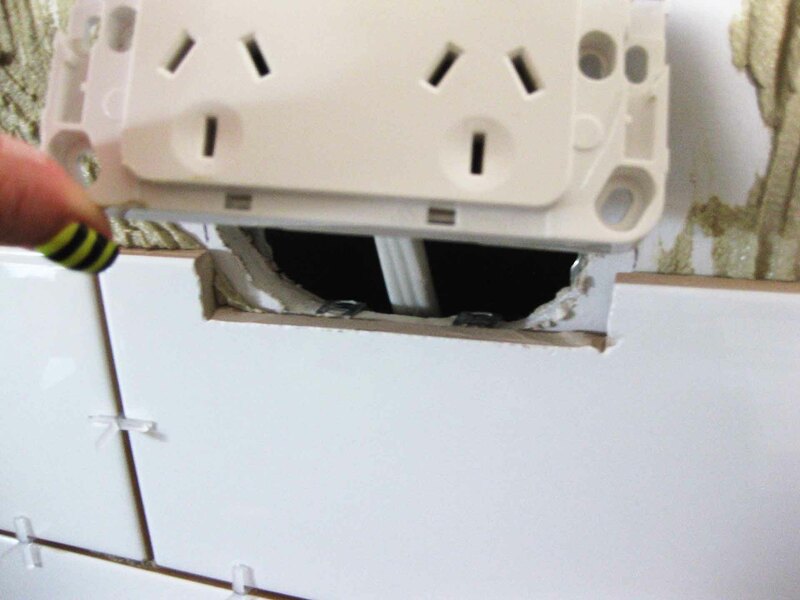 If you do it this way, you will need to put up new plaster board. Use the correct adhesive to fix the plaster board to the stud frame, and make sure you flash the edges to ensure a strong and level background to tile too. Then the fun part starts. Laying the tiles. To do this you can either apply the adhesive to the back of the tile directly or apply it straight to the wall, either way is fine. We applied it to the wall in sections which allowed us to cover a larger area at one time, therefore working a bit faster. Just take care not to cover too big a section at once otherwise the adhesive may start to dry before the tile is fixed in place. Place a couple of wedge spacers on the bench top and sit your first row of tiles on these, gently pressing the tile into the adhesive. 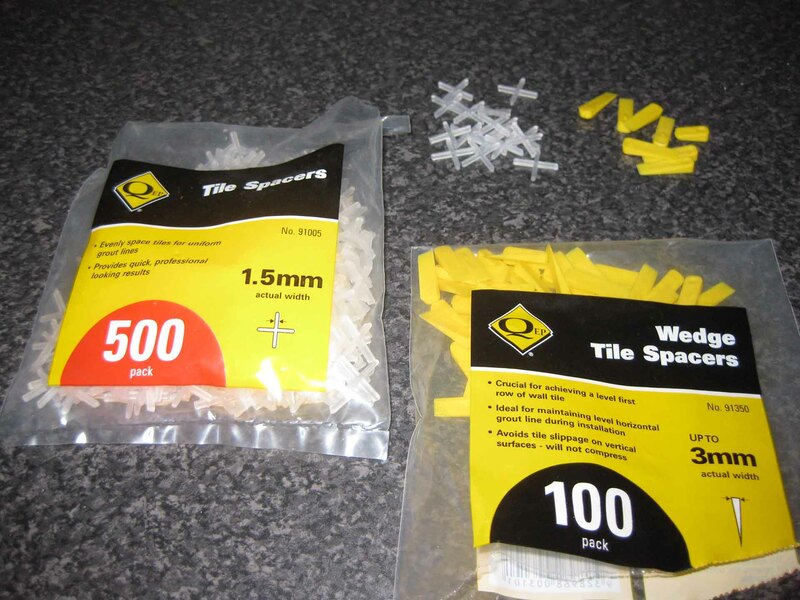 Then work from the bottom and tile upwards using tile spacers between each tile as you go. Trust me on this, if you have mixed the adhesive correctly (as instructed on the packet) the tile will stick to the wall and won’t fall off. 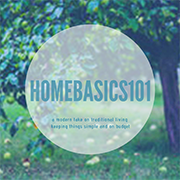 Clean up any adhesive that’s dropped onto the bench top while it’s still wet. It will take around 24 hours for the tile adhesive to set hard. The tile pattern you use will depend on the type of tile you choose and the style you want to have. I went with a stretcher bond style, which stacks the tiles like bricks. This meant that we had some extra cuts at the end of the rows. But if you don’t like cutting tiles, you can choose a stack bond style pattern which sits each tile on top of each other in straight lines. Super easy. Once all the tiles are on the wall it now time to rest have a coffee. The adhesive needs 24 hours to set completely but we ended up leaving it for a week as we only worked on the kitchen on weekends. 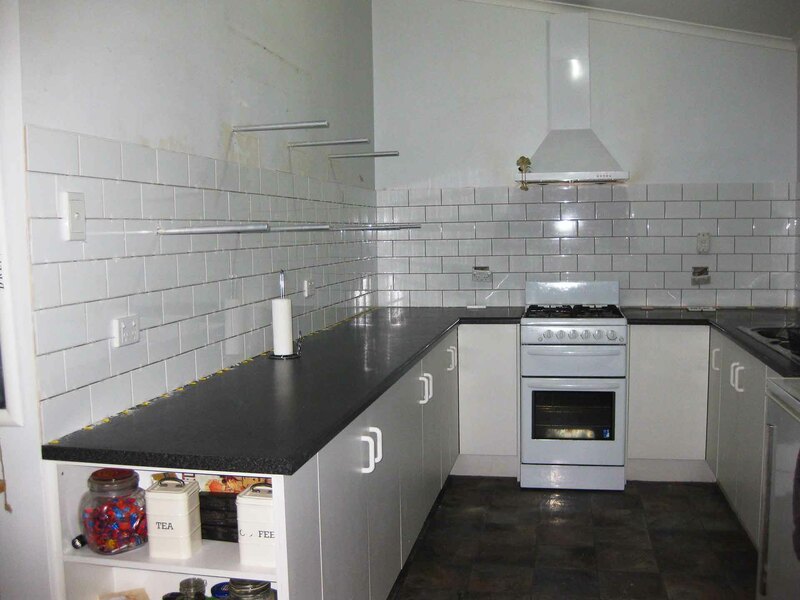 Just ensure you don’t get any water into the joins between the tiles and bench top. 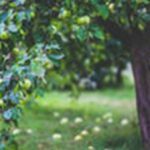 The next step is an easy step. 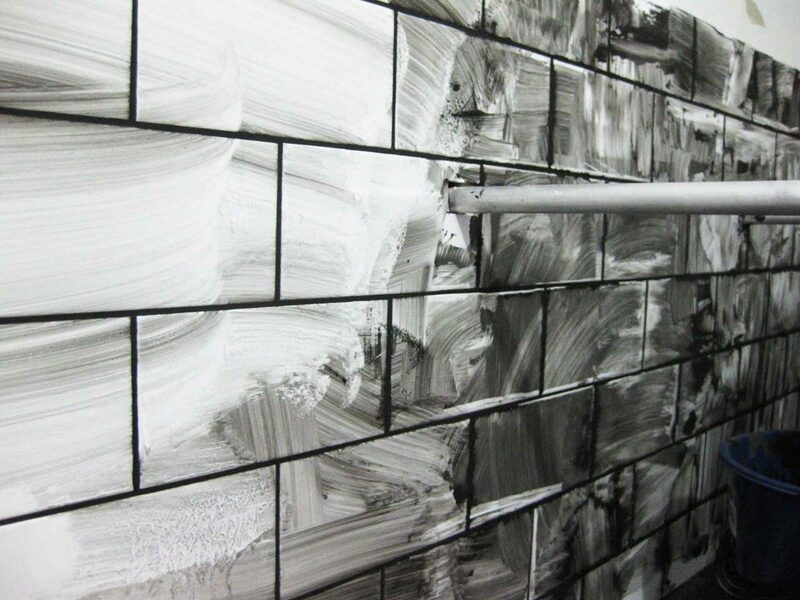 Grouting. I really enjoyed this part as I got to make a bit of mess and it was really relaxing to do. Funny how these small things entertain you as get older. 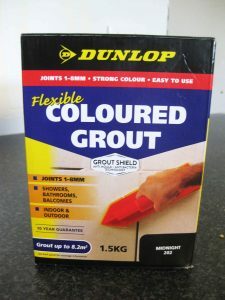 Mix the grout as per the direction on the packet and again, make sure you get extra. I made this mistake and we ended up having to make a trip to Mitre 10 for more grout half way through. Oops!! Remove all the spacers and wedges so you have a clear, clean surface to work with. Next, scoop up some grout on the grout float and scrape it over the tiles, ensuring grout goes all the way into the gaps. If you wipe the grout float diagonally over the tiles, it’ll smooth the grout flush with the tiles without removing too much from the gap. 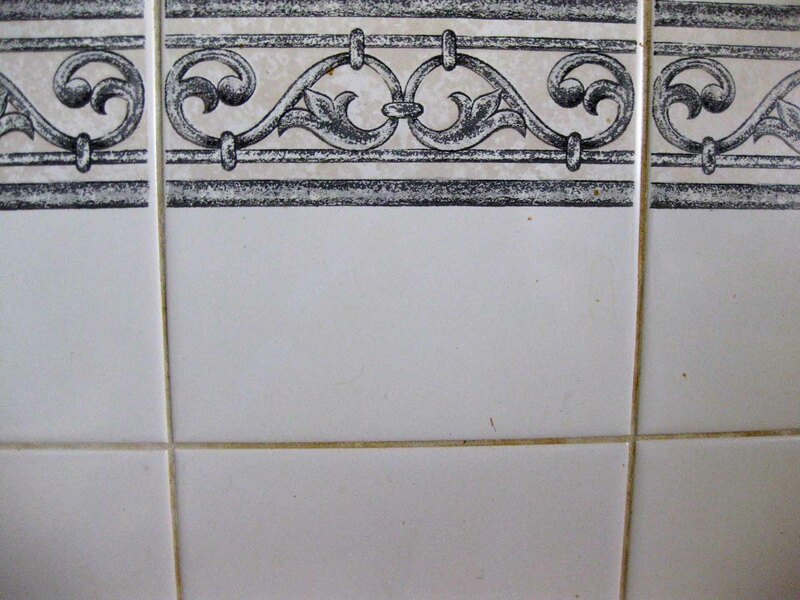 Once the grout starts to set, you can lightly wipe off any excess with a damp sponge. Again, work diagonally across the tiles to avoid removing too much grout from the gaps, and wring out the sponge as you go to ensure a clean finish. Allow the grout to dry for 24 hours, then give the tiles a wipe over with a soft cloth to remove any excess residue. The very last step is to silicone between the tiles and your bench top and in the corners. This allows for a bit of movement as well as giving a watertight finish. 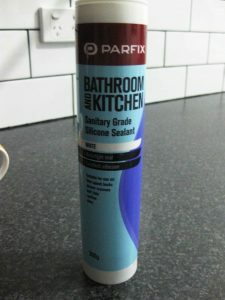 To compliment the grout we used a black silicone (yep, even silicone comes in different colours). After you’ve run the bead of silicone, wet your finger and run it along the length to remove the excess and create a smooth finish. Leave it to cure and you’re done! That’s it, sit back and enjoy your hard work. Stunning, Thanks for the excellent outline. 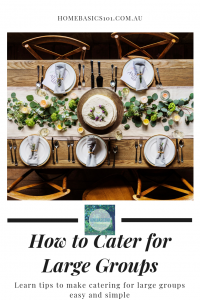 Thank you for this do it yourself guidelines!